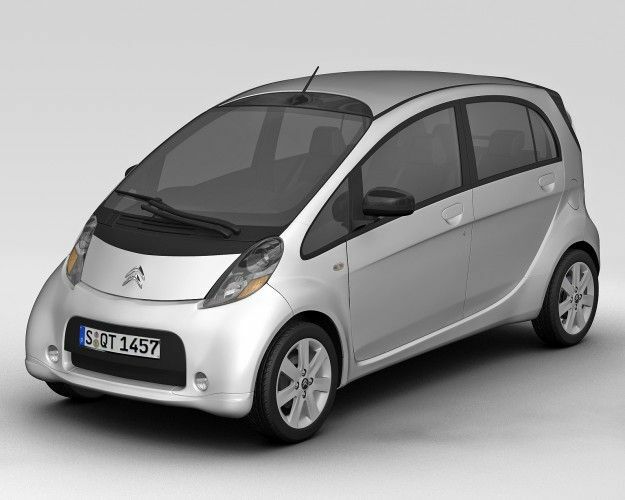 We are now on our third electric car, each one a huge improvement on its predecessor. Our first car, was a custom kit car made by AVT in the UK using a Mini Metro chassis. This car could do about 25 miles on a full charge, and its main weakness was the fibreglass body and windows rather than the electric motor and battery system. In 2006, we purchased a used Citroen Berlingo Electrique van . 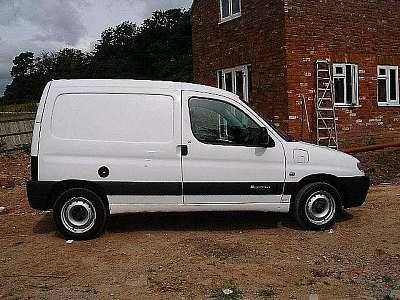 Citroen produced a number of these vans between 1998 and 2005, but have stopped production. The van had a range of 50 to 60 miles, depending on your right foot, and a top speed of 60mph. If you would like to read more on the Berlingo, click here for another owners website. After about three years of use some of the batteries started to fail. This was a common problem with this model. Another owner in Kenmare had two further Berlingo Electriques so we sold ours to him to cannibalise for parts. In 2012 we purchased a slightly used Citroen C-Zero to use as our second car. The Citroen C-Zero is the same car as the Mitsubishi which Electric Ireland has been promoting. Using off-peak electricity to recharge the batteries seems to cost about â‚¬1 to â‚¬1.30 which is equivalent to a staggering 400mpg. However, you have to take into account that the batteries will have to be replaced after about 100K miles, which is part of the true fuel cost. In practice, the car may be either written off at that stage, or have half a battery pack installed to limp on the rest of its life. Electric vehicles (EVs) have zero emissions, though of course there would be emissions associated with the production of their electricity. Even with conventional power generation, the power cycle is a lot more efficient than the internal combustion engine, which only manages to deliver an average of between 7% and 15% of the energy in its fuel tank into driving force on the car’s wheels. However, by charging electric cars at night, this facilitates the introduction of more wind energy to the grid, because there is a need to sell their production 24/7 – not just during the daytime. This is a youtube video that was prepared when Quentin was running in the 2007 General Election for the Green Party. But aside from the shameless political plug, it gives an idea of how the car runs.